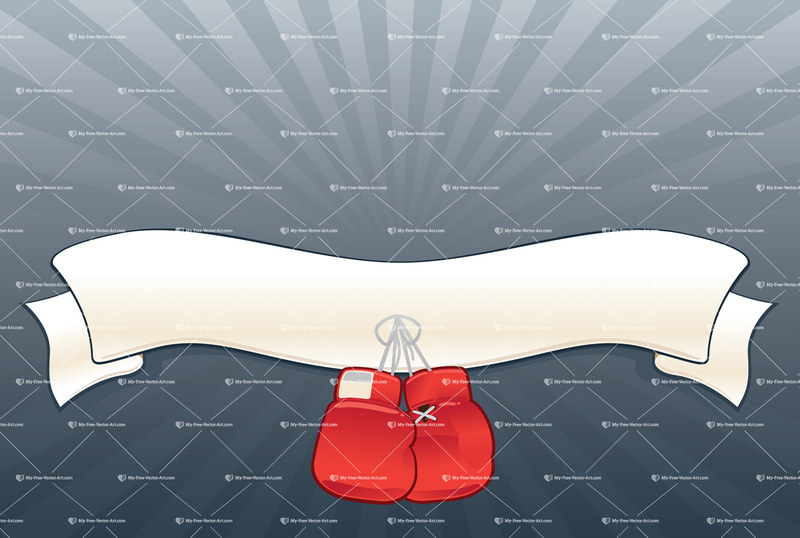 Boxing Gloves with Banner — Vector illustration of hanging boxing gloves with wavy banner behind them. Let's fight! — $3.00 .:. My-Free-Vector-Art.com .:. 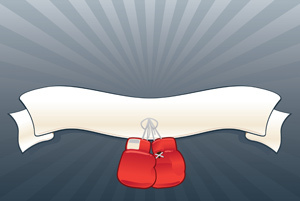 Vector illustration of hanging boxing gloves with wavy banner behind them. Let's fight! ★ This illustration has been promoted to the small and very exclusive PREMIUM COLLECTION. Buy this vector illustration today for the low price of $3.00! After payment at PayPal's website, you will be redirected here and presented with a download link good for 72 hours or a maximum of 10 downloads, whichever comes first. You will also receive an email containing your download link. If you require support, please contact us.